In honor of Danny DeVito's return to the big screen in this week's "The Lorax" (though it really is upsetting that he doesn't get mentioned in the trailers - only Zac Efron and Taylor Swift show up), we thought this would be a great time to compose our Top 5 lists for one of the more under-appreciated actors around. If you go to IMDb and check out DeVito's filmography, you may be surprised at just how many gems you find. While you'll see a pretty common theme in all of our number one selections this week, overall this was definitely one of the more interesting and enjoyable lists to compile. Hopefully there will be some hidden treasures in here for you, but otherwise, a nice refresher course on a few of the staples! I know this isn't an exciting choice because everyone knows this is his best performance, but come on. His vision of Penguin in this film is amazing. It's always been my favorite part about the movie, and really the biggest reason I always go back to it. Who didn't love the Schwarzenegger/DeVito team-up? Twins was my favorite of the two (and the first), but both are worthy of recognition on this list. Great work as the cynical attorney finally working on a case that matters. He's paired with Matt Damon, one of my favorite actors, and a great supporting cast including Jon Voight and Mickey Rourke. This is one of my favorite dark comedies. It's funny, in most of his movies, DeVito plays pretty much the opposite of his role here, but he still moves the film, and his work handling all of the other characters around him is great. Check out the trailer for this movie if you haven't seen it. Number one, you'll be amazed that this came out as recently as 2000 (seems very much like a late-90's movies), and number two, the supporting cast is top-notch. Great performances all around. At first this seems like a really weird pick to have on this list, but if you watch this movie again, it's actually pretty dark. And DeVito MAKES the movie. His work as a sleazy dad is great. This would be higher if the rest of the movie wasn't so children-oriented, but there's a lot that adults can enjoy in it too. "There are two dilemmas...that rattle the human skull. How do you hold onto someone who won't stay? And how do you get rid of someone who won't go?" "You know what a Rainmaker is, kid? The bucks are gonna be falling from the sky." "She's old. She's got a bad ticker. All you gotta do is jerk around a lot when you talk to her." Best of the four Batman movies from this series? I'm thinking so. I've always wanted a cartoon to show up in the middle of a drama. Imagine if Paul Giamatti's character in The Ides of March was a cartoon cat. That would be great! Danny DeVito in this movie is the closest I'll ever get to that. Danny DeVito was an actual major player in Andy Kaufman's life, and Danny DeVito isn't even in playing himself in this movie. Creates an interesting extra-textual play. He's "all the crap that was left over". It's highly becoming when someone has a sense of humor about the way they look. I'm in love with Stacey Dash. DeVito's good in this too. I feel like Burton's two Batman films have kind of been forgotten with the success of Nolan's films. Until those came out though, Burton's films were always at the top of my list for superhero movies. I loved the feel of these movies so much, and DeVito's Penguin character was great. To me, the best role of his career. I've always wished that this was how Michael Jordan had announced he was coming back to the NBA. It came out after that but how epic would that have been if he'd still been playing baseball at the time, but then you go to this movie and find out at the end that he decided to come back to basketball? Oh well, at least he did come back, and I still got one of my favorite movies from my childhood because of it. The plot of this alone is enough just to crack me up. Its so ludicrous, but it worked so well. Is this my all time favorite brother duo? It might be. Really underrated action/comedy in my opinion. I love every single aspect of this movie. 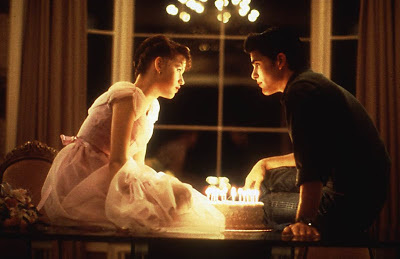 I always thought I was the only one who had seen this movie when I was younger, but was glad to find out it's not quite as unappreciated as I thought. Still, not enough people have seen this movie. If you love action, you really need to check this out. One of my all-time favorite Best Picture winners, and on other lists this movie is higher up. DeVito's roles in this and Last Action Hero aren't really that prominent, but my overall love for the films made me have to get them on the list. Best portrayal of The Penguin ever! His art was even changed for a while based on this movie! Cartoon cat! Plus this movie is like a partial dream! I wish I could bring things out of movies with a golden ticket! That'd be amazing! I just never realized before the resemblance the two of them had! What a great comedy! I think every character in this is pure gold! I love that this team-up was so great they couldn't resist putting it on screen again! I'm crossing my fingers that they bring it back again now that Arnold is back to acting! And there you have it! The best of the best Danny DeVito performances through our eyes. The obvious winner here (which you should have known before even looking at the lists) was "Batman Returns", showing up in the number one spot on all five lists. 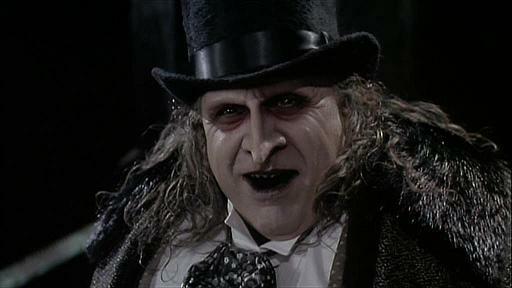 His portrayal of The Penguin in that movie is superb. He's arguably the best and most memorable part of the whole film (okay, Michelle Pfeiffer isn't too bad as Catwoman either; lookin' pretty good there!). Otherwise, "Twins" actually hit on all five lists as well, proving that that late-80's nostalgic comedy isn't going anywhere. "Last Action Hero" appeared three times, and "Junior" and "The Rainmaker" showed up twice as the only other multiple selections. All of the multiples should be considered the staples in DeVito's filmography, while most of the others are something more of "hidden" gems, and ones to really look into if you haven't seen or heard of them. As always, we hope these lists help you to expand your movie knowledge! If you have any favorite Danny DeVito movies that we missed (or more likely, were forced out), share them at the bottom. Alex, I'm glad you had "Matilda" on your list. I've always liked that movie a lot.